What a year it's been so far! As I write this, the team and I are preparing to board a plane to Canada for the next leg of our USA/Canada Worship & Training Tour. We are truly amazed and blessed with the doors and opportunities God is opening to lead worship and serve in and encourage so many great churches, friends and ministries around the world. God is so faithful and I have no doubt that when you commit to fulfil His calling on your life and be obedient and patient with His plan, nothing is impossible. I wanted to touch base with you all and let you know some exciting news! 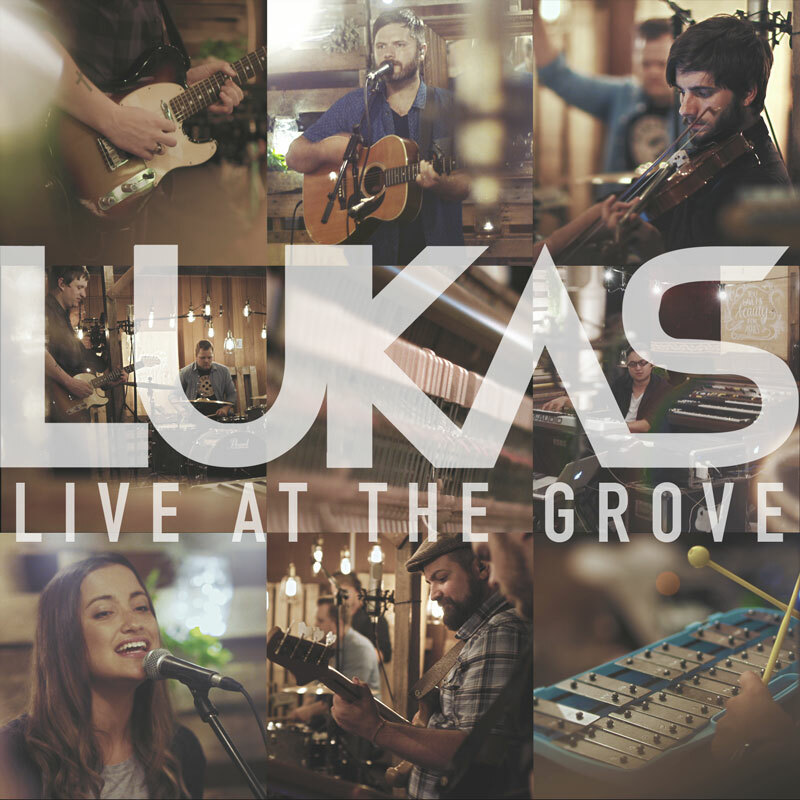 We’re excited to be in the final stages of our new upcoming 'LUKAS - Live at The Grove' Worship Film, set for worldwide release on Saturday 28th November on personally engraved USB Stick or Digital Download, with audio available on all digital stores worldwide. Pre-order your copy now. Add event to my calendar (ics). This project has been a dream come true and a huge step towards the vision that God has placed on my heart. It is amazing to see it coming to pass. The countless hours of sacrifice, resources, and love of so many faithful people who believe in the vision of LUKAS touches me so much and I am truly grateful to God for every one of you. From the beginning we felt God’s hand with us throughout every step. Whenever obstacles would arise, God was orchestrating even greater plans. God is so good and I feel overwhelmed by His goodness, His faithfulness and His attention to the finest details. Over 50 volunteers from 12 churches contributed on team comprising of: set designers, musicians, illustrators, catering, a string quartet, audio engineers, techs, camera operators and cinematographers. The film was directed by one of our great friends and favourite film directors, Paul Moss who is the main Director of Photography for Australian television shows such as Masterchef, Shark Tank, The Biggest Loser, and Survivor. For all the #gearnerds out there, the filming was shot with RED Dragon & Sony 4K (professional movie cameras), and the audio was recorded through a vintage SSL Console and analogue gear at the Grove Studios in Sydney, Australia. Five songs were captured including a new song written by Nikki Fletcher (Worship Central), Nick Herbert (co-wrote God’s Great Dance Floor and writes frequently with artists such as Martin Smith, Matt Redman, Tim Hughes), Phil Kennedy and myself called 'My Rescue' which we hope will be a blessing to you. I have attached some screenshots from the film below. If you can please spare some time to cover us in prayer leading up to 28th November release date. We pray that many people around the world will be blessed and lives transformed by the love and hope of Jesus, as we seek more of His presence in everything we do. Before I finish I wanted to share a testimony of someone who witnessed the amazing power of God during one of our worship nights. It’s incredible to see God alive and working before our eyes in people’s lives. Through an atmosphere of worship and the power of the Holy Spirit, lives are changed, chains are lifted, and people are being healed, all through praising the name of Jesus. We are praying and believing that God is going to move powerfully on this trip. We are truly honoured to be a part of the work of God around the globe! I would to thank you and honour you. We wouldn’t be able to do what we do without you. We are grateful for you all!